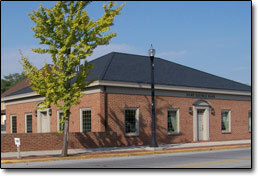 The Home Savings Bank of Wapakoneta was established in June 1941 as a state chartered mutual savings and loan association. Since inception the primary function of the company has been to provide a safe depository for savings dollars and to use those deposits to provide affordable home loans to the residents of Auglaize County. Many changes have taken place in the world since 1941 but Home Savings Bank remains committed to the mission on which it was founded. As Wapakoneta’s only locally owned and operated financial institution, Home Savings takes pride in offering old fashion friendly personal service. As a sign of our commitment to grow and remain a part of the local financial community, many new services have been added to better serve our customers. Internet Banking, ATM/Debit cards, checking accounts, IRA’s and home equity lines are a few of the new products available to customers. Friendliness, integrity, service and strength are the cornerstones on which Home Savings Bank was founded and are still the principals on which we conduct business today. Please let us be of service to you.